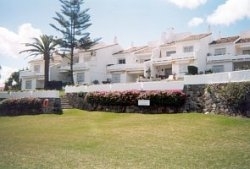 APARTMENTS TO RENT IN PUERTO BANUS, SPAIN. Welcome to our selection of holiday apartments to rent in Puerto Banus, Spain. Puerto Banus is only a few kilometres west of Marbella, and being under the Municipality of Marbella shares many characteristics of the Costa del Sol's most well known resort. 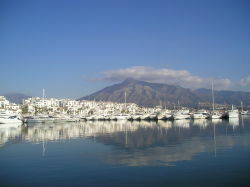 Famous for it's marina, filled with multi-million dollar yachts, Puerto Banus also boasts a beach that stretches for 1km. The golden sands are a major attraction to the town, which was once a traditional Spanish fishing village. As with any resort associated with the rich and famous, Puerto Banus has more than it's fair share of pubs, clubs, restaurants, world-class shopping and casinos. 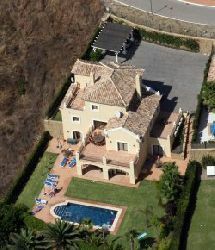 Looking for self catering holiday accommodation in Puerto Banus? Then below is a selection of holiday apartments in Puerto Banus that can be rented direct from their owners. You can either click on each listing for further details or you can use our search engine on the left if you are looking for something in particular.